Here’s another look at an older review: “Put ‘em down, Take ‘em out ! 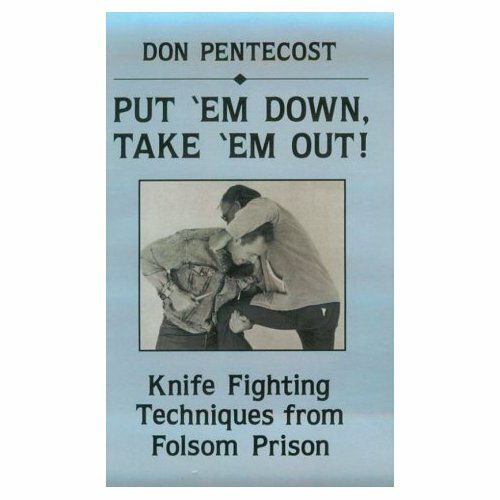 Knife fighting techniques from Folsom prison” by Don Pentecost. I re-read this book and only slightly added things to the review. Knife fighting has been a topic of debate for a long time. Many people, especially in the Martial arts, claim to teach techniques that work against the blade. Unfortunately, few instructors seem to have ever been in a knife fight. As a result, their techniques are sometimes very peculiar. I was intrigued by the book title, as the author seemed to offer experience from a place where cutting and stabbing is part of daily life. So it was with high interest that I read this book. Mr. Pentecost starts his book by making some clear comments : Determination is more important than technique, be in the right mind set and learn to control adrenaline and fear. As a starting point on knife fighting, there are worse things to be said. Don Pentecost shows what a knife attack looks like. He goes on to kill off some popular myths concerning the use of knives in real encounters: Leading with the knife, facing off, the paralyzed arm, etc. All of these points are very important and the author explains clearly why these are myths. Pointing this out might seem useless to more experienced practitioners, but keep in mind that most people get their information on violence through television and movies. Unfortunately, these media offer a distorted view of reality and the repetitive effect of it will only reinforce this information on those who don’t have real fighting experience. Chapter 3 covers offensive techniques. Don describes the different types of grips, proper stance, 2 and 3-step attack patterns, targets and more. All of these topics are approached in a no-nonsensical manner and the explanations are brief and ad rem. Some of the best advise on self defense I have ever heard is given here : «In a life-threatening situation, get whatever you can, when you can, as many times as you can. » Food for thought. The fourth chapter deals with defending against knife attacks. Mr. Pentcost first gives a list of basic principles. These range from prevention and awareness to protecting your back and effective movement. After this another list is offered concerning proper stance. The rest of this chapter deals with grabbing, grappling, trapping and a very nice description on what (not) to do when attacked by multiple opponents. 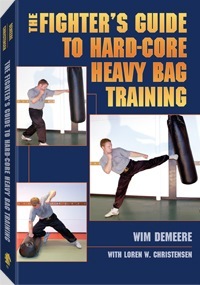 The last chapter explains some ways of training and preparing for real life encounters. 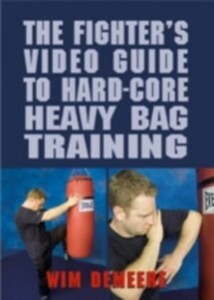 Some of the issues covered are mental training, footwork and breath control. First of all, the author sometimes seems to present his views as an absolute truth, instead of as a general rule. Second, Mr. Pentecost strongly opposes training in the Martial arts to learn self defense. He leaves no doubt as to his feelings towards these arts. I find this to be generalizing an otherwise very true statement. 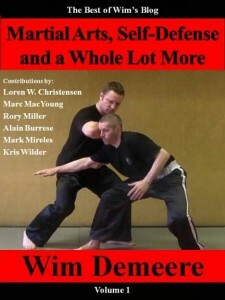 Many Martial arts teachers have very little of value to offer in regard to self defense. This is often so because they lack experience or are more focused towards other aspects (sports, health, etc.). But to claim that they are all worthless is an exaggeration in my opinion. Keep in mind this book was first published in 1988 and the world has changed a lot since then. 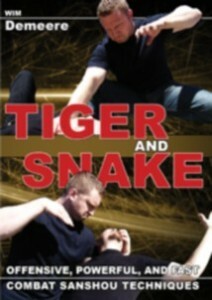 We now have an entire industry, Reality Based Martial Arts, focusing solely on self defense. I think Mr. Pentecost would be much more comfortable with their take on knife fighting as opposed to what he probably saw being taught in the 1980’s and before. The author states in the beginning that he won’t discuss the incidents he has witnessed or participated in in Folsom prison. He states this isn’t done by those who have served time there. I both understand and respect that. But then there is little need for putting it in the title. Perhaps some more information on how these techniques are different from others might have been in order. As it is, Folsom is mentioned only once, in the beginning of the book. 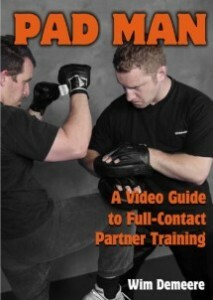 This book is a very good starting point if you want to learn more about what happens during a knife attack. It is not the ultimate work on this subject, but it offers some sound, basic advise. The information is presented in a clear and factual manner. No flowery descriptions, just the information. Perhaps that’s a pity, as the book is rather small in the end (about 55 pages). If you’re looking for some solid info on the realities of knife techniques, get this one. This book is a classic work and a lot of authors and teachers have used it as a reference point. As such, it has become a collector’s item and isn’t easy to get brand new. Follow the link here below to start looking for a used copy; they’re much cheaper. No problems whatsoever on this front. The lay out is clear and the pictures are of good quality. 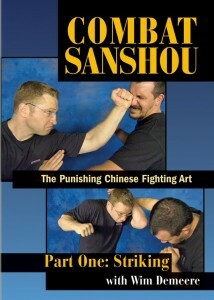 I read a copy of this book a year or two ago, and I just recently began some informal knife training with a friend of mine. 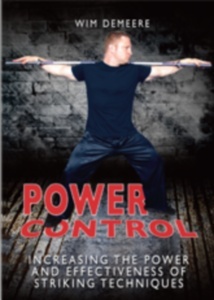 I can vouch for Mr. Pentecost’s techniques in this book: My training partner is six inches taller than I, but I was hitting him in his arm, shoulder and torso two or three times more than he hit me because he was leading with his knife hand. I have yet to fully incorporate strikes and traps, but having an empty lead hand provided not only a useful block and counter, but also an excellent “distraction” for my partner to target. Yes, his material works well “out of the box”. Like Mr. Pentecost writes, with the proper intent, you can get a long way. His “style” of knife use isn’t really dueling or anything like that. And that’s exactly what many practitioners do nowadays. Nothing wrong with it, but there are different dynamics at play when you go up against such a “prison style” type of attack. Once you rush in after that lead hand distraction, they better be pretty good or you’ll get them good. But as always, there really aren’t any guarantees in a fight. Especially once the blades come out. Yes, I think the best lesson I learned from this training was that I never, ever want to be in a knife fight. We do knife defense drills and one of the biggest things that students get from it is how easy it is to get cut or stabbed. Most of them have the penny drop that if someone is determined enough sooner or later they will get you, so either you don’t get into a situation with blades, or just plain run and hope you can run faster than they can. It’s scary as hell the first time this happens. Especially if you’ve been training for a while and “you know knife defense techniques” :-) I’ve seen lots of guys get a reality check that way. Some take it well and grow, others can’t stand to lose face and stubbornly persist in training things that don’t work. This book here is a good way to give some perspective to the latter crowd. I like it because it’s easy to read and has a no-nonsense approach. Great stuff. I really disagree with a lot this guy says. A lot of it is good, but he obviously has no real knowledge of martial arts to dismiss them as he does. He should look into arts like Krav Maga, Pradal Serey (which was specifically developed -for warfare and lethal combat-) or Muay Thai and it’s variants before he says they’re useless. The obsession with TV techniques is funny, as well. Of course in a real fight, someone won’t leave their knifehand extended after a failed strike- but a good counterfighter (ie, any decently trained martial artists) won’t wait for a failed strike to try for the wristgrab. He (or she) will catch the wrist AS THE STRIKE IS IN PROGRESS. A “proper” grab takes place while the attacker is mid-strike. You don’t wait for the arm to begin retracting. That just gets you a handful of knifeblade. It’s actually pretty simple, with good reflexes, to catch a striking hand or wrist (this is applied by arts like judo against unarmed, striking opponents) and, if they’re armed, land a disarming strike, or if unarmed, then to throw, or land an easy counterstrike. 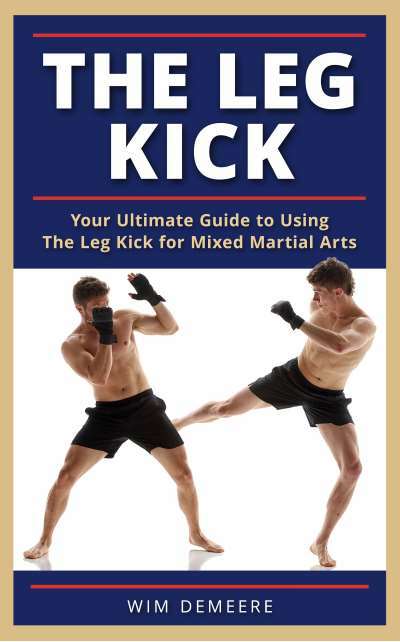 He spurns kata; kata are only used to develop muscular tone and fitness, and to develop muscle memory of the moves and techniques. Even so, my own limited martial arts training has won me knife fights, both competitive and non, simply due to the enhanced reflexes and speed the training gave me. He’s right in that a lot of martial arts are only good for competitive use, rather than real scenarios, but if he were to go to China and ask someone to fight, well, I have personal experience of a friend who, simply put, is well qualified in physical violence, asking a random guy on a street in china for a match, and being utterly destroyed. By some random dude. Another point. 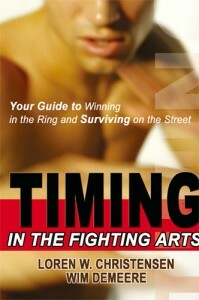 He asks early in the book how a martial artist responds to an empty lead hand to the eyes/face followed by a knife strike. 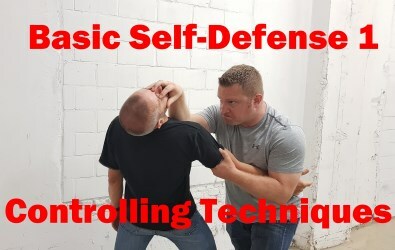 Well, Don, they block the hand to the eyes, (probably outer forearm) then backstep and block the knife wrist (probably inner forearm) Against a martial artist, (a martial artist as he considers them, not an incapacitating or lethal art) feints and lead hands are exactly what they’re trained to stop. To beat a “martial artist” the best method of attack is to simply get in on them. Take away their defense, and your offense purely outguns theirs. 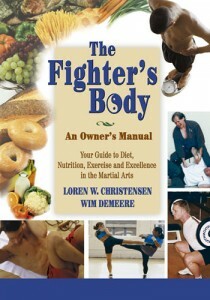 You’ll be soaking up some punches, knife hands, kicks, etc, but if you get close, body to body, they can’t beat a knife. The thing you need to remember: this book came out in 1988. Back then, the vast majority of MAs were showing stiff-arm knife attacks and ludicrous counters. So Don wasn’t too far off the mark back then. IMHO, stepping back against the “prison yard rush” is a sure form of suicide… YMMV of course but if I can help it, that wouldn’t be my first choice. That’s right. In those days, everyone was into Karate Kid and Ninjas Even in the unarmed realm, many martial artists were shocked to find they were totally helpless against grapplers and groundfighters in the UFC. Shame the book is so damn expensive! $200 in America and £529.13 in the UK where I live! That’s because it’s become a collector’s item. It’s pretty hard to find these days. Google it and you can find it for free in the form of a pdf. Then save it to your computer. I prefer paper books but this one is so short and so few techniques that it is easy to remember in just 1 or 2 readings. I understand your point but don’t entirely agree. As an author, I’m not a big fan of people illegally downloading books that are for sale. Just because something is expensive, doesn’t mean you have to steal it. Just don’t buy it if you can’t afford it. If you like the author send him some donations. A bigger percentage of your money goes to him that way. When you buy his book, a big portion of your money will go to the publisher rather than the author. It’s a waste. 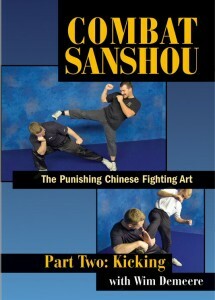 As for the book, I found it contained good, solid information on basic attacks. It might have been better if he talked about the relevance of range and angles. Information on defense was pretty lacking. There’s a lot of fluff out there being labeled martial arts.